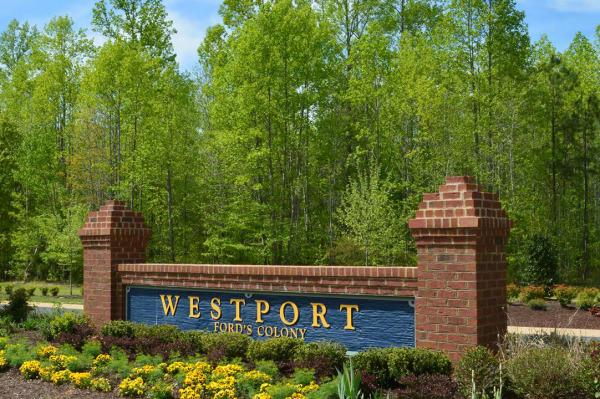 Many of you have asked who is building in Fords Colony’s newest community, Westport. Westport is the newest neighborhood in Ford's Colony, Williamsburg's premier recreational community. The opportunity for the luxury home buyer to purchase an estate lot in a premium community is unlike any other in the Williamsburg area. Offering home sites ranging from 3 to 5 acres, Westport provides a unique level of privacy in a master-planned community and also convenient access to all of the attractions, shopping, and dining of Williamsburg. We’d like to introduce you to the Weslowskis, who will be moving in within a few months. Look for more Westport Neighbor profiles in the coming weeks, as sales have been brisk so far this Spring! And, if you missed the recent Wine Tasting, be sure to stop in to see us at 3420 Westport on weekend afternoons – the model is now finished, furnished, and looking great! Are you interested in making Westport at Ford's Colony home? Click below to download the price list.